BURMESE tourist Sumaiya Ayatullah captured this video of a python casually slithering near a popular beach on the Sunshine Coast. 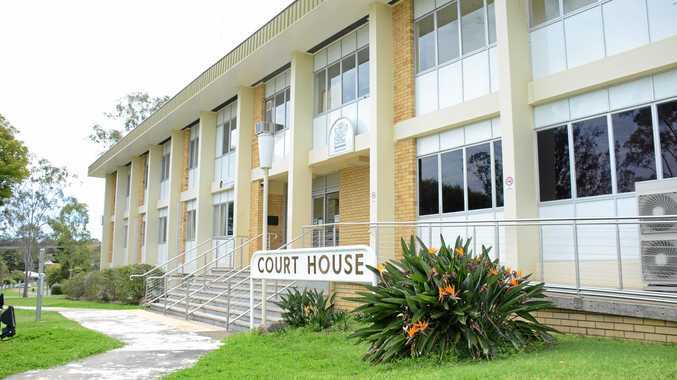 Mrs Ayatullah was at Coolum Beach with her husband and two children when she spotted the reptile crossing the footpath before heading up a tree on the beach. Yep, it was a big one. 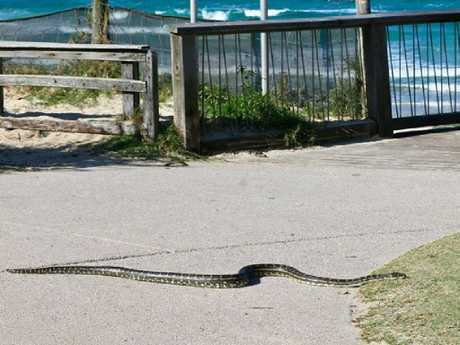 A python slithering across the footpath at Coolum Beach. "I was terrified … because my kids were there playing," she said. "I have never seen a snake this big in my life. "The snake was huge, but beautiful." 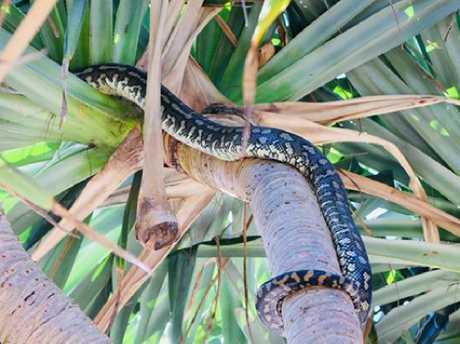 The python climbed a nearby pandanus tree after the encounter.